The Huawei P9 is a different beast from most on the inside, with some interesting high points and some offbeat low points, too. Huawei is one of the few – along with Samsung – manufacturers that can put together their system-on-chip to run the show in the P9. The model we have for testing is powered by Huawei’s own Kirin 955 CPU, which is itself a 64-bit octa-core CPU with a quad-core Cortex-A72 CPU clocked at 2.5 Ghz and a more efficient 1.8 Ghz Cortex-A53 quad-core CPU paired together. In terms of graphics, the P9 features a Mali-T880 MP4 GPU. There are two models available, one which has 3GB of RAM and 32GB of onboard storage, and another with 4GB of RAM and 64GB of storage. There is a microSD card slot as well, which supports up to 200GB in expandable storage. Enough about processors and RAM, the two cameras around the back will no doubt be a focal point. Each of the two cameras are essentially identical, but one of them is a monochrome sensor, taking photos only in black and white. Both sensors are a 12-megapixel Sony IMX 286 and they both feature Leica Summaritz lenses with f/2.2 apertures. Huawei promise 270% more light as a result of this setup than the iPhone 6S and 90% more light than the Galaxy S7, due to the combination of the two cameras together. These sensors are 1.76-micron pixel equivalent and while the front camera isn’t quite as good, it’s still a respectable 8-megapixel shooter. Seeing all of these pictures takes place on a 5.2-inch LCD Full HD display, which might not be as impressive as many had been hoping for, but it’s what Huawei has chosen to go with nonetheless. Huawei’s P9 features what Huawei calls one of the most advanced fingerprint sensors on the market which includes 3D ridge depth scanning. One notable inclusion is the USB Type-C port, which allows for a reversible connector and much speedier data transfer as it’s a USB 3.0 connection. 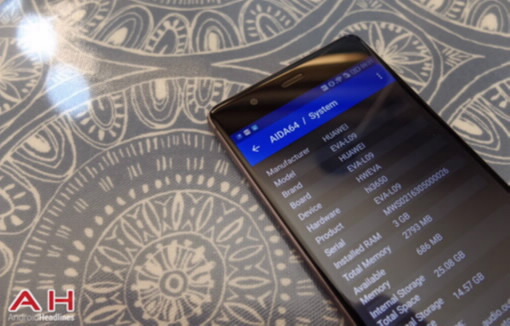 Elsewhere, the Huawei P9 features a non-removable 3,000 mAh battery, support for WiFi 802.11 a/b/g/n/ac in both 2.4 Ghz and 5.0 Ghz dual-band varieties, GPS, GLONASS, Bluetooth 4.2, a 3.5mm headphone jack and a smart antenna system. Huawei says this antenna system will quickly change when you move from a 4G to a 3G zone and also swap to a second antenna depending on how you hold the device in order to offer the best signal and performance. There’s a laundry list of specs included in the P9, and to keep this review just within the word count of War and Peace, we’ve included screens from AIDA 64 for those needing to know it all. Huawei is known for offering up some pretty good value where smartphones are concerned, and the value also extends to what’s included in the package alongside the phone itself. In terms of packaging, the P9 features a fairly standard look and feel, with a flat, square design that displays the phone quite nicely. Underneath the phone itself there are three individual boxes, each of these is easy to remove from the packaging, and one contains a USB power brick, one a USB Type-C cable with a pair of standard iPhone-looking earphones and another that contains all of your paperwork. For whatever reason, the smaller box for the paperwork didn’t actually have anything in it in our review unit. Regardless, everything else was accounted for and while this is a fairly standard amount of add-ins for a smartphone of this sort of cost, it’s clear that Huawei have given a lot of thought to how they wanted the box and packaging to look. 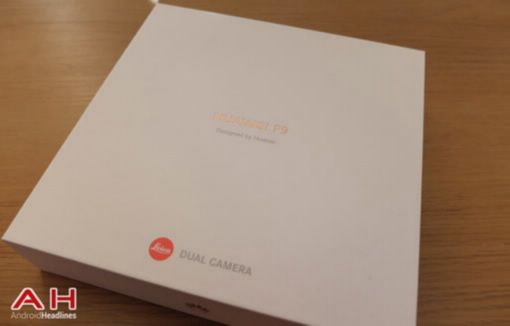 Considering the P9’s price tag, this is some premium packaging, it’s nice and minimal and laid out well, giving customers a look at their device and clear pointers on how to get started and which part of the box has what inside of it. The Huawei P9 ships with a 5.2-inch LCD Full HD display, giving it a resolution of 1920 x 1080 and a pixel density of roughly 424 pixels per inch. While a resolution of 1080p isn’t anything to scoff at, we would have expected something a little better from Huawei, especially given the excellent AMOLED Quad HD display that they shipped with the Nexus 6P last Fall. Pixels aren’t the only part of whether or not a display is any good of course, and for a lot of people, they won’t even notice the difference between this and a Quad HD display. Color and clarity is what counts, and while the P9 certainly has the color, it’s not all that clear in a lot of cases. Focusing on color for a moment, the P9’s display is fairly “okay”, and by that I mean that colors are realistic and they look as they should when watching videos or surfing the web, but they’re far from exciting, which will be a disappointment for some. It’s not that the P9’s display isn’t capable, it does become quite bright, but the amount of glare that comes off from the screen is really noticeable in the sun and does make it hard to see what you’re looking at. Some extra brightness here would help of course, but so would a screen that doesn’t want to become a mirror in direct sunlight. Indoors is not a problem, and the P9 will look sharp and bright no matter where you are, and there are some settings that people can explore as well. In the Display Settings, Huawei have included a fairly decent and straightforward color temperature option. The Default tone was pretty good for me, but moving it towards a reddish color did help things ‘pop’ a little better and the warm preset will certainly please some users. All-in-all, the display here is pretty good, but it lacks any real excitement and the glare from the screen is just too much in strong or even moderate sunshine at times. As for touch response, there are no complaints here, everything is nice and fluid and the display will track your fingers and taps without any sort of issue and a lot of the time I was very impressed with how responsive the display was. Typing is a pleasure here, and as the refresh rate is nice and fluid so is browsing the web and playing games. I had no issues with any ghosting and everything is really smooth and speedy in terms of scrolling and refresh rates. As Huawei have proven time and time again, they know how to make a good smartphone. 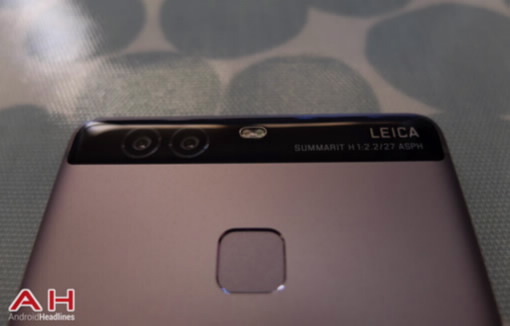 Huawei was pretty pleased with the fact that they could make a smartphone as thin as the P9 is (6.95mm thick) and include not just a 3,000 mAh battery, but also keep the camera flush with the casing. While I sat in the audience during the P9’s launch, the audience erupted at the news of a flush camera, but that’s not the only highlight of the P9’s design. Focusing on build quality for a second, the P9 is one hell of a solid phone. Despite the fact that it’s nice and thin, the P9’s metal build feels solid and sturdy in the had. Gripping it in the hand is fairly easy and it delivers a reassuring grip. We’re not in the business of trying to bend phones over our knees, but there’s little to no case flex in the P9 and it feels just as well made as a Galaxy S7 or iPhone 6S, if not better in some areas. Design wise however, the P9 takes few steps forward. It’s average size of 145 x 70.9 x 6.95mm delivers a device that fits in one hand really nicely and there’s not much of a bezel around the edge of its 5.2-inch display. The curved edges around the sides of the device have a nice texture to them and are easy to grip, and the reflective chamfered frame is subtle, but just nice enough to notice. I hate to bring up the i-word here, but it’s obvious where Huawei got their inspiration from. Sure, the grill at the bottom looks different, but the screws either side of the Type-C port, placement of the headphone jack and black band at the top of the device point out an i-look and feel. Not everyone will feel that way, and for the most part, the P9 does look like its own device, but it’s a little easier than I would personally like to find similarities between the two. Never mind that though, other nice touches come in the power and volume buttons, which could be clickier, but thanks to the textured power button are easy to tell apart. The placement of these buttons is just right for your thumb to find them and the fingerprint sensor around the back is similarly easy for your index finger to rest upon. The only complaint with the fingerprint sensor is that it’s just as smooth as the rest of the phone and not as set into the phone as say on the LG G5 or Nexus 6P, so it can take some time to get used to when you need to rest your finger in the right spot. 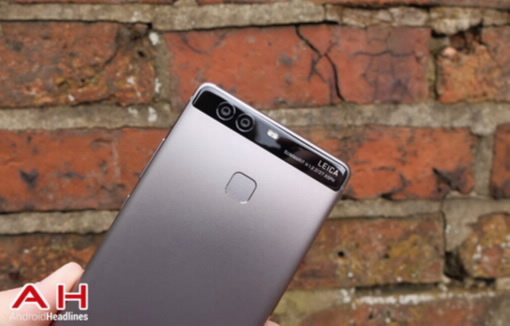 For the most part though, the P9 is just an evolution of the Huawei P8 from last year, and there’s essentially zero Leica DNA in its looks, either. The ports and such are all neatly laid out, it feels good in the hand – light, but not too light – but this is far from exciting. It looks like a smartphone. Which is true of all smartphones, but it looks like an average smartphone. Perhaps the Haze Gold and Ceramic White options look nicer, but this is just what you’d expect from a smartphone in terms of looks, nothing more, nothing less. Huawei’s own Kirin 955 processor inside of the P9 is by no means a slouch, it’s not the best out there, but it’s more than good enough for high-end 2016 standards. For a lot of users, it will be just fine, and even powerusers will struggle to see any real world difference between this and a comparable Snapdragon or Exynos. In terms of performance, the P9 runs beautifully. Web browsing is fluid, pages load quickly – thanks to some stellar network performance – and everyday switching between apps, watching YouTube videos and playing games all runs great. As touched on earlier, scrolling performance in the P9 is great, making working through lists an absolute joy, and I didn’t come across any sort of bugs or issues present in the P9’s software (more on that, later). I fired up my go-to tester game of Colin McCrae Rally on the P9, and it was responsive with a super-smooth and high frame rate. This is an older game, to be sure, but this essentially guarantees a quality gaming experience in most higher-end titles you can find in the Play Store. 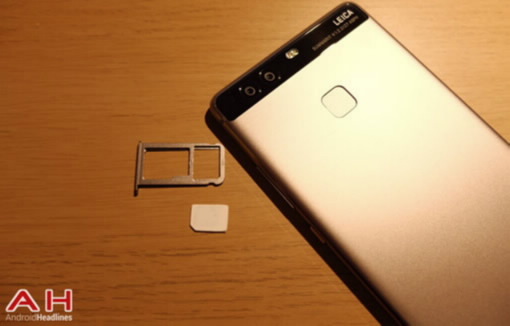 There’s 3GB of RAM inside of the P9, and Huawei’s latest flagship should have more than enough memory to handle a large amount of apps open at any one given time, but it seems to struggle in this regard. For whatever reason, some apps would reload after switching to them from the multitasking menu (which looks different, for no other reason than to ape iOS) and we’re not talking apps from last week, but apps opened just hours or minutes earlier on. This doesn’t seem to happen all of the time however, and it’s a head-scratcher as to why it even happens at all. Swapping from Gmail to say Amazon will end up in Amazon reloading as if launched from scratch, but the Gmail app seemed immune to this, along with Chrome. The same happened when going from Chrome to Hangouts, with the latter having to reload from scratch, despite being open just an hour or so ago. Perhaps this is some sort of caching issue, but whatever it is, it’s not something we should be seeing from a phone of this caliber. 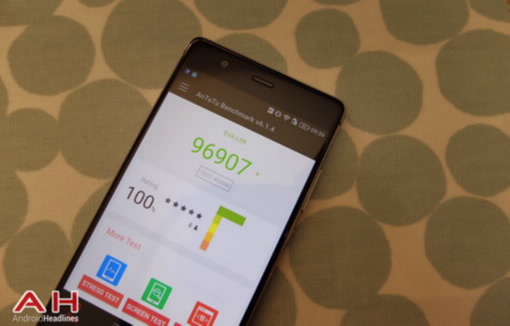 Putting phones through tests such as Geekbench and AnTuTu might not be to everyone’s cup-of-tea, but it’s at least one way of putting all the devices through the same tests. For whatever reason, the Huawei P9 didn’t score anywhere nearly as high as I thought it would in any of the below tests. AnTuTu and Geekbench scores were fairly low, which is strange because the phone runs pretty well independent of these figures. As always, Benchmarks are best taken like a shot of Tequila, with some salt. No doubt about it, the camera on the P9 is what Huawei want people to be talking about, and they’ve sure come up with a pretty good offering here. Despite controversy over how much input Leica had in the creation of the P9’s camera, there’s certainly some Leica DNA available here. For a start, the camera software has Leica fonts, the Leica shutter sound and some film simulation modes aimed at faking that Leica look. With 12-megapixel IMX 286 sensors, one for monochrome and one for color, the two f/2.2 Summarit lenses and their sensors work together to produce photos with a lot of light and a lot of detail. Before we get too involved in the end result, let’s take a look at how good the overall experience is when taking photos with the P9. 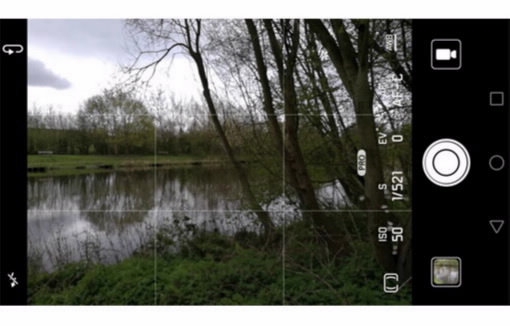 This is the initial camera view, which offers a 4:3 viewfinder to reflect the aspect of pictures the P9 takes, and as we can see here, I have added a few extras. 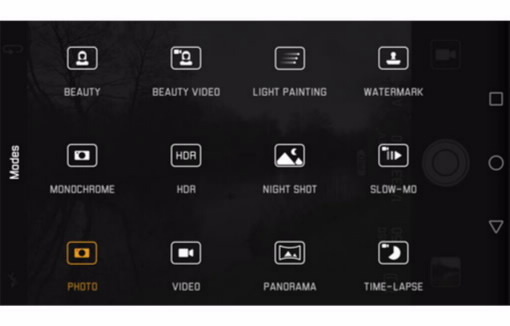 The camera grid is available in the settings menu, and the Pro options are available by simply swiping up and then touching each setting to change things. In my experience, the Pro settings weren’t all that helpful, the EV options are definitely helpful, but changing the ISO or shutter speed will cause another setting to be changed automatically. This makes it hard to get total control over your photos unless you change every single setting. 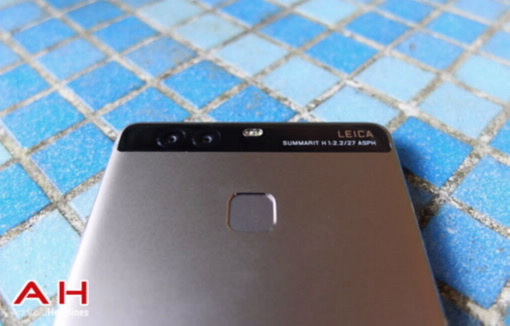 Now, as we said before, the P9 features Leica fonts and options and such, which can be accessed from swiping up on the main camera view to reveal another menu. Here, there are a number of different settings to change, but something that bothered me is that the film settings they made such a fuss about during the launch event are buried in…you guessed it…another menu. Still, this gives us a chance to highlight the extra settings that Huawei have on offer, which can be pretty helpful if we’re honest. Below is a trio of shots, each taken with a different film setting. The one on the left is a Standard setting, the one in the middle is with the Vivid Colors setting and the one on the right, the Smooth Colors setting. There’s a dramatic, and fairly pleasing result between the first and second picture, but the third doesn’t show much of a difference. In terms of overall results, the P9 does a fine job. The 12-megapixel resolution is plenty enough, and there’s a lot of detail and sharpness captured by the P9 overall. If there was one recurring theme however, it’d be that the auto settings were too zealous most of the time, which led to a sacrifice of detail for clarity, or the reverse. For instance, touching a darker part of a scene to focus on that particular area would result in a massively dark image overall and there are a number of examples side-by-side in the below Flickr gallery. With a speedy shooting experience overall, the P9 is a joy to take pictures with, but to get some quality results out of of the P9, which it’s definitely capable of, you need to tweak a few settings here and there. These include a touch on the EV dial as well as perhaps the ISO dial. Regardless, below is a look at what the P9 can do. Considering that Huawei runs a successful network hardware business, it’s no surprise their smartphones feature some pretty impressive network features and great network performance. For instance, the P9 supports a myriad of different bands, as well as WiFi+ to meld your cellular data and WiFi together to boost your download speeds and quick switching from 4G to 3G or even 2G networks. Below are some screens testing the performance of the WiFi, which was quicker than a lot of devices on the same network, but in reality the Huawei P9 is just one hell of a smartphone for network performance. It quickly and neatly changes from 4G to 3G and back again, something that a UK resident like myself finds a very nice feature given the spotty nature of 4G round my parts. 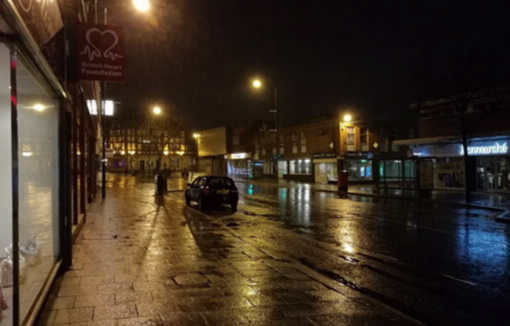 I can’t speak for any networks other than the GSM networks of Three, EE and Vodafone that I tested in the UK, but they all worked just fine and getting connected and set up on a network is real quick and easy, too. Phone calls sounded good during my tests, and despite the small speaker up top, there’s a lot of clarity and detail when making a phone call. The speaker phone isn’t great, but unless you’re HTC it’s a lot harder than people realize to make a strong speaker phone these days. When it comes to battery life, the Huawei P9 could certainly do better, but that’s not to say it won’t get you through the day. With a 3,000 mAh battery and a 5.2-inch display, the P9 has a larger tank than most out there, and will certainly go the distance – depending on what you’re doing with it, of course. We put the P9 through the PCMark Battery Test and it scores just shy of five hours. Now, this was with the device at almost full brightness and we all know this benchmark pushes the phone constantly until it hits 20% or so of battery. In the real world however, the P9 does okay, but not great. It will certainly get you through a day and well into the evening of casual use, but if you start to push it with more streaming of video or playing games the battery life will start to get away from you. All-in-all though, the P9 from Huawei shows good battery life to say it’s a smaller and thinner device and should suit the majority of people just fine. That USB Type-C port however, is something people should take note about, as you might want to take a cable with you if you’re really pushing it terms of usage, as it’s unlikely your friends and family will have one right now. The Huawei P9, like many other everyday smartphones, doesn’t feature much in the way of extras where sound is concerned. In fact, this is certainly one area that Huawei haven’t turned their magic wand to. The single rear-firing speaker on the P9 is actually not too bad given its placement at the very bottom of the phone as well as its size. It’s not especially meaty or punchy, but it sounds nice and clear and with a hand cupped around it will be more than loud enough for your average user. Watching YouTube videos is fine with the P9, but you won’t be wanting to start a party with this thing, or even try sharing one of your favorite songs with your friends, as the speaker just isn’t that strong. The story of lackluster feature continues with the headphone output. Unlike HTC, LG, Samsung or Sony there are no extra settings here to boost the overall sound quality that’s pumped into your ears. As someone who enjoys their music, and has a fetish for nice headphones, I was disheartened to discover Huawei hadn’t spent much time here. This is despite the Kirin 955 promising its own “Audio Core”. When listening to headphones, things on the P9 sound just fine, everything is nice and clear and there’s a good tone here, but if you were expecting something special in terms of sound quality for your favorite music, then you might want to look elsewhere. Huawei have, once again, “gifted” their latest P-series device with their own Emotion UI. I say gifted in quotations, because Emotio UI is anything but a gift. HTC have recently made some changes to Android with the new HTC 10 and both LG and Samsung have been messing with Android for years, but Huawei takes all of this to a whole ‘nother level. Emotion UI is full of head-scratchers right from the word go, like the multitasking menu that puts apps side-by-side instead of on top of each other like a stack of cards. Why do Huawei do this? You had better ask them, because the only reason I can think of is that the new way of doing things looks just like the iPhone’s way of doing things. Changes to the software extend into the way that Marshmallow asks for and handles permissions on the P9. Many will be familiar with the Google-y looking pop-up that asks if it’s okay if WhatsApp has access to your camera, but the P9 does away with this and a more confusing pop-up with more than one step appears to ruin your day. 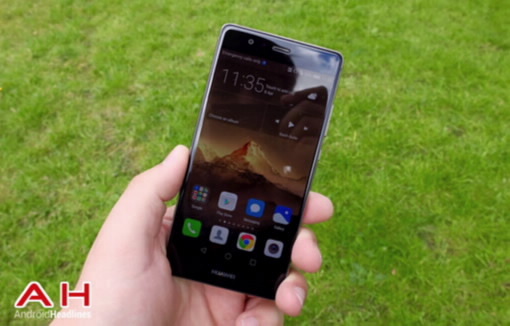 There’s really no need for a lot of the changes that Huawei have foisted upon P9 users here, things like the home screen that just hurls all of your apps everywhere with no app drawer and the notification shade that swallows the whole display with a – admittedly useful – timeline of notifications and a settings menu that looks completely different to any other Android phone. The list goes on and on and on, and it’s just not good. Maybe this is more of a cultural thing than anything, as Huawei is a Chinese firm and most Chinese firms and users expect Android software to be “dolled up” in this fashion, but it doesn’t make sense. Europe is the target for the P9 and Europeans will be used to software from Google, HTC, Sony and Samsung, not this bizarre, convoluted and stressful interface that Huawei continues to foist upon users. Things get even worse in the details, too. For instance the Settings menu hides menial settings such as “Language & Input” (needed to change your keyboard preference) and “Date & Time” in the “Advanced Settings” menu within the Settings Menu. Why? What is advanced about changing the date and time? I don’t know, and I also don’t know why Huawei wants to make my contacts screen so messy, either. On the Galaxy S7 Edge, for example, there’s a simple toggle (that’s enabled by default) to only show contacts that have a phone number. This genius setting gets rid of all your Google+ contacts, Gmail contacts and whoever else you either know from work or whatever else that don’t have a phone number, the Huawei P9 has no such option. Which results in a contacts screen littered with contacts I can’t call, but Huawei allow me to view this massive mess from the phone app. Still, it’s not all bad. The lock screen that changes photos every time you hit the power button is actually quite pleasant – until the weird photo of Lionel Messi appears unexpectedly – and once you install a third-party launcher you’re left with just using your own app choices and the annoying settings menu to contend with. Other niceties include some theme options (should you wish to stick with the default launcher) and a Phone Manager app that has a “Harassment filter” included which is more useful than you’d think. 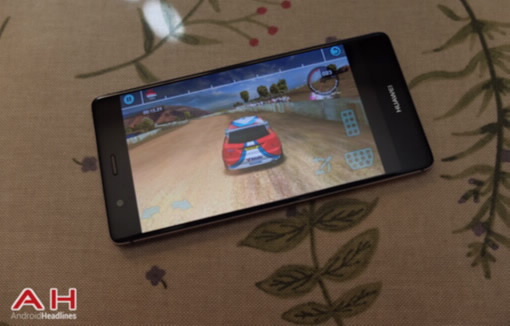 Speaking of apps, it’s obvious that Huawei struck a deal with Gameloft here, as the P9 is chock full of trials and icons for Gameloft games like an Asphalt title and a Spider-Man game that nobody asked for. I also didn’t appreciate the “Booking.com” icon (which reminds me of the eBay shortcut HP throws onto its Windows laptops) and I don’t need an icon titled “Top Games” which is served up by Gameloft, thank you very much. Overall, this is your usual tale of a Chinese manufacturer forgetting that not everyone wants to use software the way their customers in their home country, do. With stock Android, or even stock Android and Huawei’s icons, fonts and their own apps would be a hell of a lot better than this. The hardware and camera of the P9 are excellent, but the software definitely lets it down. This is something people can and will get used to, but installing a third-party launcher and using your own choice of apps is something I’d recommend from day one. As we touched on earlier, the fingerprint sensor of the P9 is one of the first to feature 3D ridge depth details in your prints, and boy, is this a great fingerprint sensor. Seriously, this thing is rapid. Just gently leaving your index finger on the pad will get the job done and unlock your phone for you, in a matter of well, milliseconds. I’m pretty happy with the accuracy of this as well, it never once mistook my fingerprint for someone else’s and unsurprisingly, I was unable to fool it with any of my other digits or indeed anyone else’s. 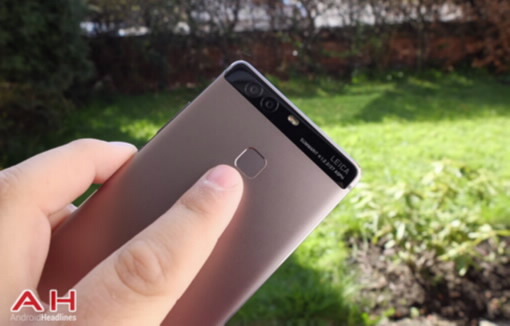 Much like other devices out there, the P9 allows for up to 5 different fingerprints to be registered, and the registering of each fingerprint asks you to set up fingerprints with different parts of your finger. This takes mere moments and as the P9 should be using the Marshmallow Fingerprint API other apps and services should easily be able to tap into the great fingerprint reader the P9 has to offer. This is definitely a high point for the P9, especially if having a decent fingerprint reader is something that you’ve been looking for. Excellent build quality throughout, with a decent enough design for the average user. One of the best fingerprint scanners on the market. Excellent camera that offers a little prestige through the Leica name. Delivers great results from the camera, regardless of color or black and and white. Will remind some of a certain iDevice on shelves. Why do Huawei keep shipping Emotion UI on their devices? Software lets the overall experience down massively. For those that want to purchase an unlocked smartphone with some of the best hardware and specs in Europe without breaking the bank, Huawei has one hell of an option for you. The Leica cameras, whether or not actually engineered by Leica, are some of the more enjoyable, flexible and detailed cameras found on a smartphone. 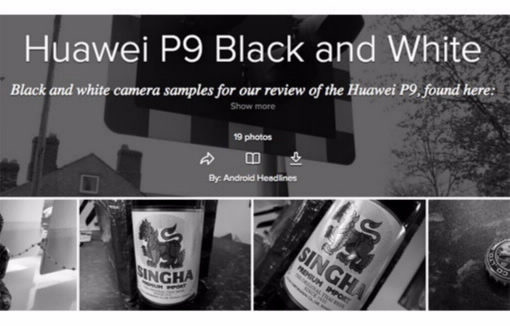 Sure, these are similar Sony sensors as you’ll find elsewhere, but with some great film modes, a superb black and white mode, and decent camera software Huawei and Leica have come together for a great camera experience. The phone itself is well-made, looks good and feels great in the hand. Its 5.2-inch display and physical size will please pretty much anyone out there looking for a one-handed smartphone. Where the P9 falls down however, is in software that is in sore need of well, no longer being there. The Emotion UI might work in China and other Asian countries, but it’s not what the European and Western audience is used to and being different for the sake of it isn’t the same as standing out among a crowd. 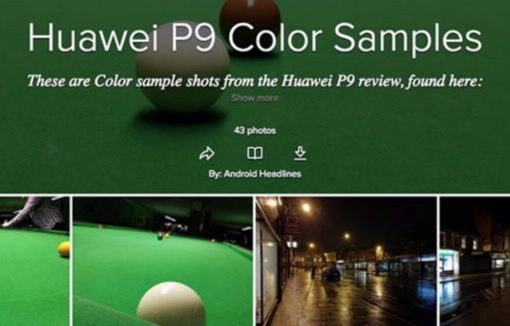 Considering its price tag and all the features it brings to the table, the P9 is worth recommending, so long as users are willing to put in some work to circumvent some of Huawei’s poor software choices.